Salla is one of Finland’s most recognized female muralists. She has been painting since 2010 and her work has now progressed to the point where it has become her main source of income. She was part of the organising team for Finland’s biggest mural indoor collection in Myyrmäki Vantaa. 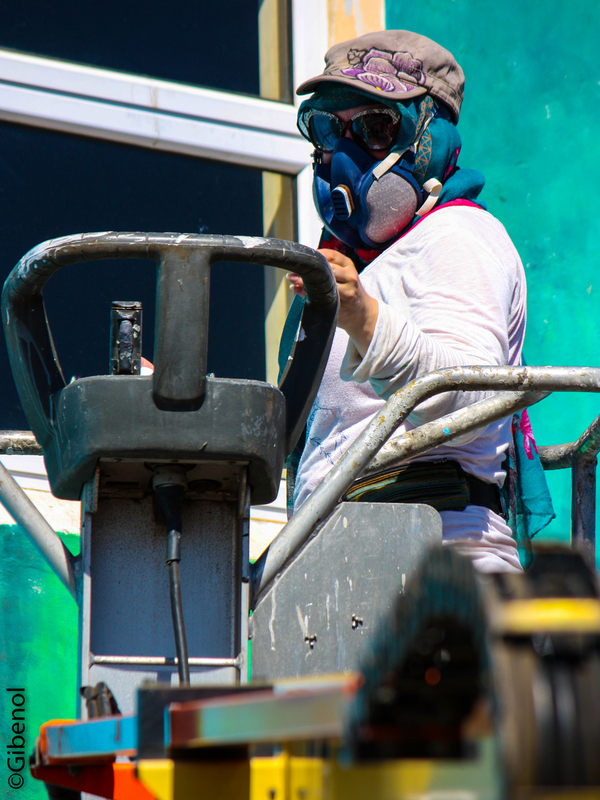 Painting murals has taken her to various cities both in Finland and around the globe, and she feels utterly privileged to be living this dream. “The Wild” by Salla Ikonen. Salt River, South Africa. IPAF February 2018. 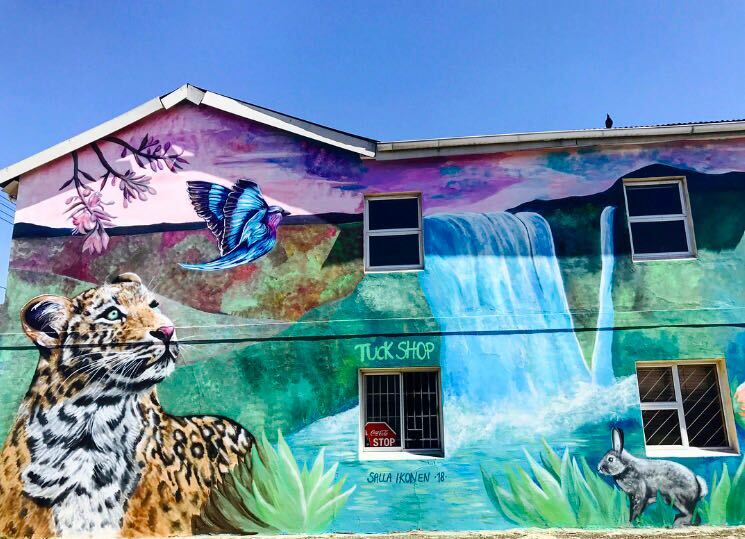 She is ultra passionate about nature, and her murals often showcases the connection between the animal kingdom and nature. Her dream would be to create colourful fantasy like murals that depicts ideal worlds. Her intention is to emphasise the connection between us and our environment; to create a joyful, peaceful feeling to the residents and passersby. She has a unique ability to work with varied techniques and paints, dependant on the wall and situation. 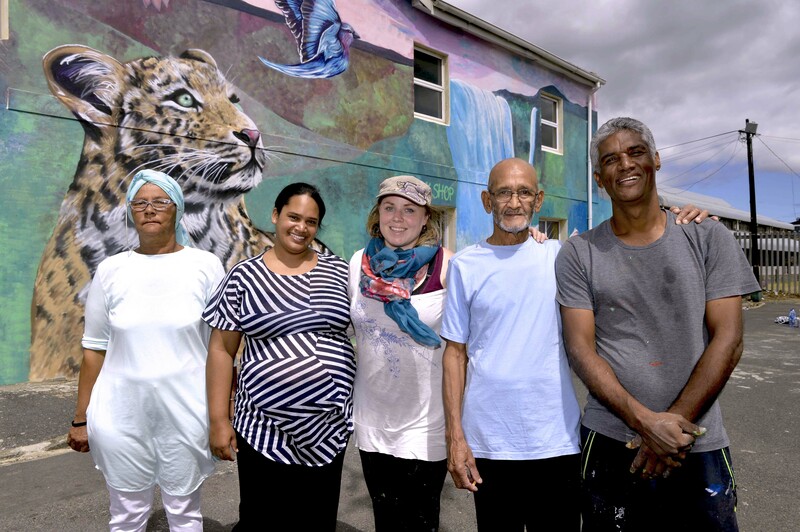 It is essential for her to incorporate the wishes of the locals in her murals as to make them feel part of the whole process making her piece of art feel like their own. As Cape Town is suffering from drought, and counting down to ‘day zero’, she thought it would be fitted to paint something that illustrates water in its most abundant overfilling nature. In Cape Town’s dire situation, the family’s wishes were to have a waterfall flowing in torrents from their windows and she delivered with great enthusiasm. She had an amazing time painting the house for the Hendricks family. Her mural received heart warming response from the community. She witnessed parents walking by, teaching their kids the names of different animals. She heard one little boy who eagerly wanted to go for a swim in a waterfall just like that.